All of the recalls tabulated by FARRP have been obtained from FDA and USDA data. Recalls in this report include foods and beverages recalled due to undeclared allergenic foods. Colors, sulfites, bacterial contamination and physical and/or chemical contamination are not counted. FARRP tabulates FDA recalls to be able to see a general trend in incidents over the year and compare it to other years. FDA also issues firm press releases that list the most significant product action in the last 60 days, based on extent of distribution and the degree of health risk. 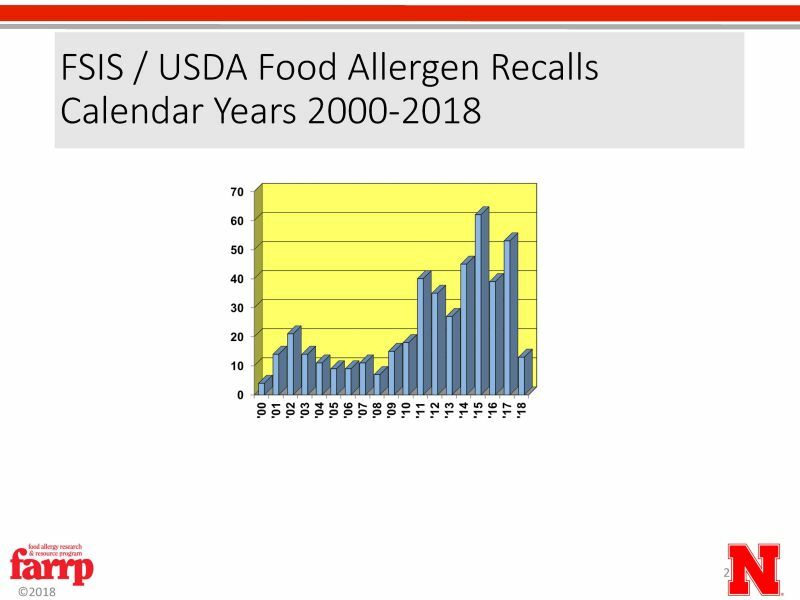 Many food allergen recalls are included in these alerts and will eventually appear in an Enforcement Report. These alerts are not yet officially recalls but we have included them in our tabulation. 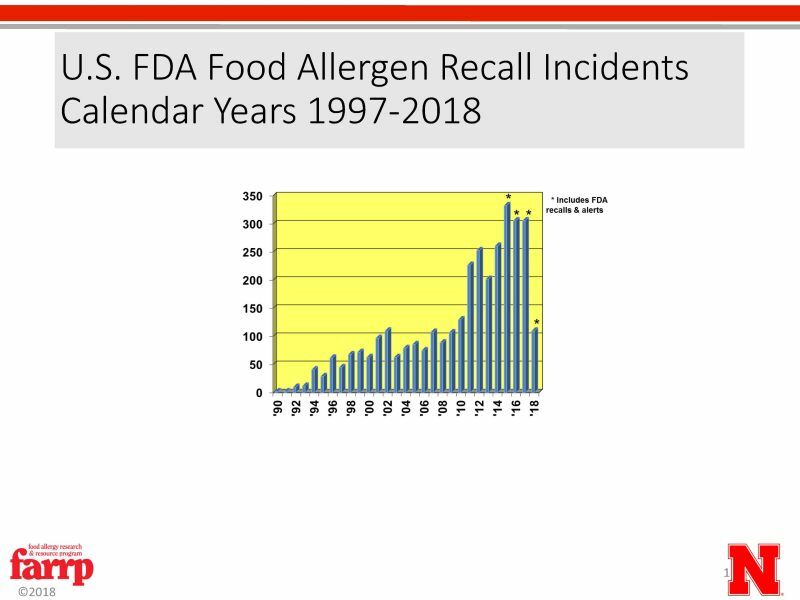 In November 2015, the U.S. Department of Agriculture's Food Safety and Inspection Service (FSIS) released a 26-page set of guidelines to assist meat, poultry and processed egg product producers in properly managing ingredients in an effort to reduce adverse reactions to food allergens. This guidance covers prevention and control measures of potentially allergic ingredients, packaging, labeling, storage, checklists and allergen training.